Minimum Recharge value Rs 50. Promo code can be used 3 times by one user/number/device. 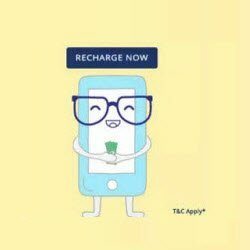 Valid for First 3 Time of Recharge in Paytm App users only. User needs to verify his email and mobile number on Paytm to get Paytm cash. How to get Recharge & Bill Payment Rs. 25 Cashback On Rs. 50 on PayTm app?